Brooke Masters: Uber’s on-demand ride hailing service used to be the ultimate disrupter. 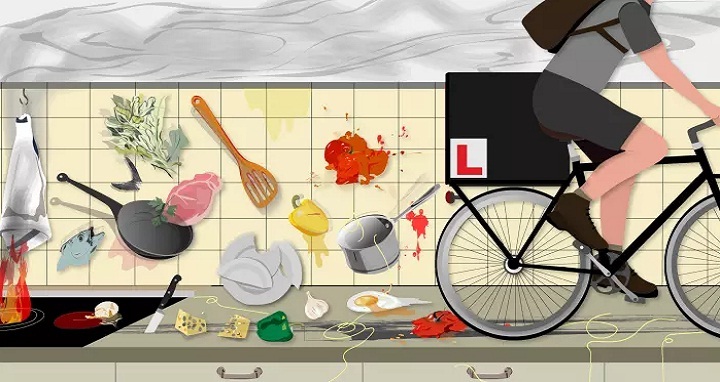 But watch out for food delivery apps like the UK’s Deliveroo and China’s Meituan Dianping, writes John Gapper. Back at the dawn of the 20th century, most families made their own clothes until cheap mass-produced goods persuaded them to outsource this basic necessity. Now the food delivery apps are hoping to do the same thing to home cooking. Nor will it stop there, John argues. The growth of personal services on two wheels, whether pizza, a massage or a dog-walker, is bringing a cultural revolution. That may well benefit consumers, but those in the supply chain, from drivers to cooks, may not be so lucky. Roula Khalaf wades into the controversy in France over non-traditional names. She argues that first names tell stories that reach beyond cultural origin. Megan Greene explains that Italy is playing for high stakes in its fiscal poker game. The markets, the EU and the Italian public are all waiting to see what the new populist government does with its budget, which is due out today. David Gardner writes that Iran is benefiting from the Trump administration’s lack of a clear Middle East strategy. For all the White House’s bluster, Tehran continues to expand its sphere of influence. Janan Ganesh argues that Donald Trump’s interests and those of his Supreme Court nominee Brett Kavanaugh have diverged now that Mr Kavanaugh has been hit with sexual assault claims that he denies.